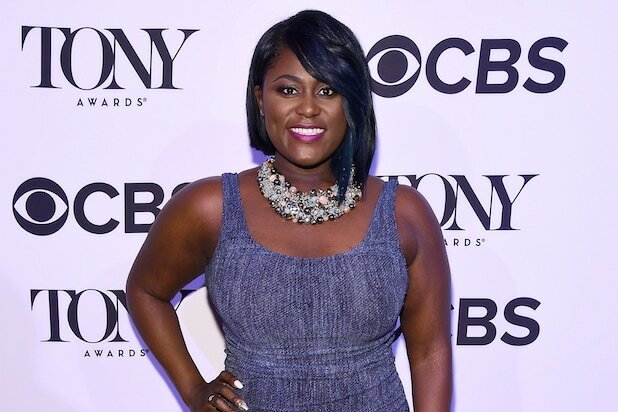 “Orange is the New Black” star Danielle Brooks is a little disappointed that the new season of “America’s Next Top Model” doesn’t include any plus size models. Although Brooks, who plays Taystee on “OITNB,” began her open letter with a disclaimer that her post is merely an observation and isn’t intended to bash “Top Model” or anyone, she criticized the show for not being representative of American women. Brooks continued, claiming that a plus-size contestant would’ve allowed everyone to learn a little something from the added diversity. Brooks concluded her open letter by saying that she will continue to fight plus-size exclusion and that everyone “deserves to be seen.” She followed up her post by uploading a selfie in her underwear with a corset. The model competition has featured plus-size models in the past. Whitney Thompson in Cycle 9 made “Top Model” history when she became the first plus-size model to win. See Brooks’ full post below. 1979: Girl-next-door supermodel Christie Brinkley made the first of three consecutive appearances. 1980: Christie Brinkley returned the following year, this time in a skimpier bikini. 1983: Cheryl Tiegs, who debuted as an SI cover model in 1970, returned for her third time. 1986: Elle Macpherson launched her own trifecta in the Reagan era with this striking pose. 1987: Elle Macpherson returned the following year. 1989: Kathy Ireland made her SI debut in the yellow number. 1992: Kathy Ireland returned three years later, arms crossed. 1994: Kathy Ireland, Elle Macpherson and Rachel Hunter tripled up for this cover. 1997: Tyra Banks became the first black model to grace the cover of the issue. 1998: Heidi Klum made her first appearance. 2006: Veronica Varekova, Elle Macpherson, Rebecca Romijn, Rachel Hunter, Daniela Pestova, Elsa Benítez, Carolyn Murphy, and Yamila Diaz-Rahi led an all-star lineup. 2007: Beyonce became one of the rare non-model (and non-athletes) to land the cover -- to help promote her swimsuit line. 2013: Kate Upton bundled up for her second cover.